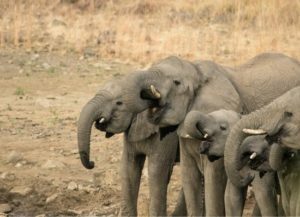 On the Nambiti Hills Reserve, we have an incredibly special elephant herd – this herd consists of roughly 27 members, growing all the time. 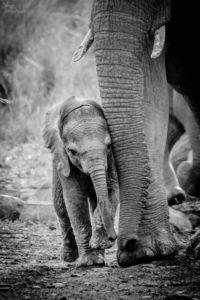 The matriarch, Stumpie, is named after her short tail, while the dominant bull BFE (Big Friendly Elephant) is named after his size. Many Guests on the Reserve recognise him because of this, as well as his one slightly smaller tusk. Although they have been growing over the past few years, nobody quite knows the story behind the broken tusk. If you understand elephant behaviour, this was most likely due to a serious fight with another bull elephant or dominance display of pushing over a tree in order to break such strong ivory. 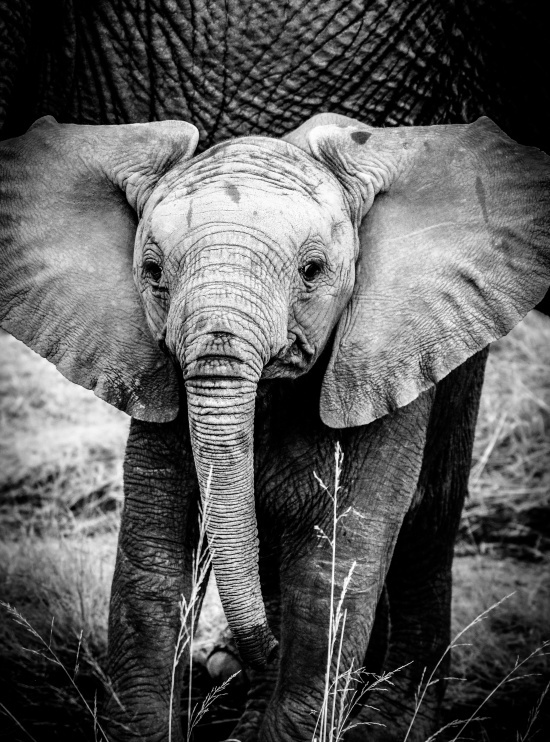 In the wild, the life expectancy of an African elephant is roughly 60 years old. BFE is roughly that age now. As he has aged, we have noticed a difference in the way he interacts with the breeding herd. Bull elephants will usually trail away for 2 to 3 weeks at a time, wandering wherever they please, returning to a breeding herd to mate or establish dominance. In his old age, BFE has been spending most of his time with the females and calves. This could be because he feels the need to protect them from the two younger bulls on the Reserve, or because he is too tired to trail away. 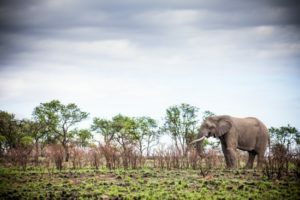 Either way, this new behaviour of his means that Game Drives are that much more special, with the unusual opportunity of Guests to see not only a breeding herd, filled with calves, but also the epitome of a dominant bull elephant in his ripe old age.